What Will I See in the IELTS Paraphrasing Task 1 Video? 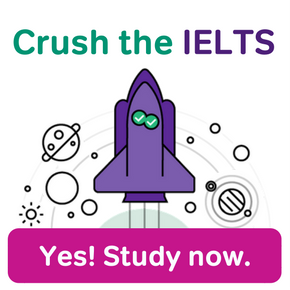 In this free 10-minute IELTS Paraphrasing video, our IELTS expert Eliot will walk you through how to make high scoring paraphrases, using information you are likely to see in an IELTS Academic Task 1 prompt. 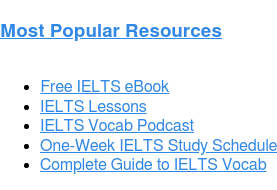 The video begins with a brief introduction, after which Eliot will walk you through how to paraphrase from a IELTS Academic Task 1 sample writing prompt. With these simple tools you can paraphrase anything! 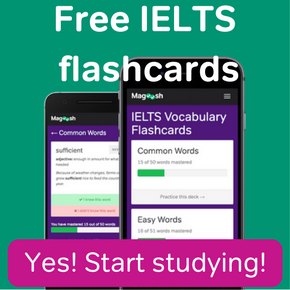 Hi I’m Elliot, the IELTS expert from Magoosh. And today we are going to talk about paraphrasing especially for the task one writing prompts that you get, okay? Now, for this video what I need you to do is to go to the link you see on your screen or in the box below, it’s the same link there. And once you click on that, you’re going to find a sample academic task one writing prompt there, okay? We’re gonna be referring to that, and you’ll be using that later, because at the end of this video, I’m going to invite you to complete an exercise. And put your answers in the comments below, and we’ll respond to you to see how well you did in paraphrasing for this particular exercise we have, okay? So, first thing though is, to definitely go to that link and open up the questions so you know what we’re talking about here. All right, but lets get started. So the idea of paraphrasing as I’m sure you know if you’ve studied for the IELTS at all. 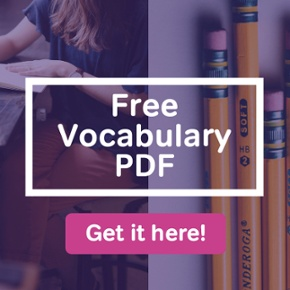 Paraphrasing is one of the toughest things, one of the most important things also that you need to be able to do well for the writing section, okay?So what we’re gonna do is give you some tips here on how to paraphrase well for these academic task one exercises. The issue really starts right from the beginning, where you need to take the question prompt and paraphrase it for that first paragraph that you write in your response, right? You take the question prompt, you take some basic information from the visuals that you have, and you need to put it in your own words, okay? For my students they always tell me this is the hardest thing to do, it’s hardest thing to get started on your essays. So I’m gonna try to give you some help here on that particular skill. All right, so the first thing, actually there are two things you need to keep in mind for paraphrasing for these responses. The first one is one, I’m sure you know already.And that is you need to focus on the vocabulary words and change them, all right? You may know that, right? You may know you need to come up with your own words. But how do you do it? What’s the best way to do it? Okay, we’re gonna talk about that in a second. The second part of paraphrasing that you might not have practiced as much is changing the sentence structure around, right? 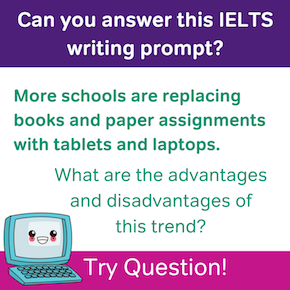 You not only need to just find synonyms and know synonyms for words, but the top scorers on the IELTS Writing Section actually take sentences and change the structure that’s there. All right, so we’re gonna talk about that and I’m gonna give you some tips on how to do that here in this video, all right? So let’s start with the first concept which is finding synonyms, changing the words around a little bit. So if you open the sample question, the one with maps there about James Park.nYou can read the prompt there, you can also look at the visuals to see some of the vocabulary that’s used there. The first thing I like to do when I’m thinking about words I can change for paraphrasing, the synonyms I’m trying to find. Is to simply look at the nouns in the sentence. What nouns are there and can I find some simple vocabulary words to make some changes about those nouns. I think nouns are usually the simplest ones to find synonyms for. Okay, but the next thing I recommend for replacing words that are there, or at least finding your own words for the concept you want to present in your paraphrase is to do so consolidation or summary. In our example, if you look down at the visuals, you’ll notice above the maps there’s a description of how many park users are anticipated to use the park, okay? In the 2017 map there were 5,000 users who use the park on a monthly basis. After they make these changes, they are hoping to have many many more, okay? In fact, 20,000, okay? So there’s gonna be many more park users who are going to be using that park then, okay? This concept, you can consolidate and use words to describe, right? If you consolidate the idea that there’s moving from 5,000 to 20,000, the idea is simply that there are going to be more users. You can capture that idea in your own words, and replace some of that language that’s above the maps there with this simple concept of the parks attracting more users. That can be a phrase that you can include in your paraphrase to represent a main concept from the visuals, okay? So another idea there, of something you could add to your paraphrase by simply adding or changing around some words that are there. Okay, so that’s my advice for just simply changing or adding words to what’s there in the visuals in the prompt. Then what about changing the sentence structure? Okay, so this one is harder to do, because it requires some advanced grammar. And of course, that’s what the IELTS wants to see you do, they wanna see your ability to change around the words in the sentence structures that are there and to put the concepts into your own words, okay? So some tricks for doing that, it’s not easy but there’s some things you can try in order to make the process hopefully just a little simpler for you. If you look at the sample question the subject of that sentence is the maps, okay? “The Maps Show”, right? That’s how the sentence starts in your prompt. Try this, find a different noun in the prompt. If you find something that seems like a main concept there and move that noun to the beginning of the sentence, okay? So, as an example, since our sample prompt begins with the noun phrase the maps, why don’t you try creating a sentence that begins with “James Park”? If you begin the sentence with “James Park”, you will have to move around concepts later in the sentence so that the sentence makes sense. You can’t just plug in “James Park” at the beginning of the sentence and just continue the sentence as it reads in the prompt itself. It will force you to make changes. This is an excellent exercise for practicing paraphrasing. When you move some of the nouns around in a sentence the structure automatically must change, okay? So if I move “James Park” to the beginning, I will have to say something like “James Park will experience a renovation between the years of 2017 and 2027”, for example, right? You see how the concepts need to change if I begin with a new subject there. That’s something you should try, when you’re trying to paraphrase, move those nouns around, okay? But another thing you can try is to focus, of course, on the verbs, okay? If you change a verb very often, it will require you to change the sentence structure of the sentence as well, okay? So, what about it if we take the verb show and change it contrast, okay? So, if we change the word show to contrast but keep the subject maps, then that requires us to do something quite different with the sentence structure, right? If I say “the maps contrast the years 2017 with the year 2027 and the proposed plan for the park project, James Park”. Okay, so you will have to focus on how the maps differ, right? That verb forces you to change the sentence structure around, to change the concepts as they’re presented in the prompt itself, okay? So these replacements, these word replacements are moving words around will force some changes in your response, in your paraphrasing, okay? It’s not easy to do but if you’re strategic about it and you’re focusing on replacing a new subject or replacing a verb with something that’s completely different concept there, you’re sentences will start to look different and that will be your own words. It’ll be a great paraphrase because you’re putting those concept into your own words. All right, you may have noticed so far in this video, I haven’t given a lot of examples for each of these things. And that’s because I want you to try your own paraphrase of this sample question prompt that we have about James Park, okay? As you know for these task one questions, this is basically your first paragraph. So go to the YouTube comment section and put your sentence, your paraphrased sentence, or the first paragraph if you want of the task one response in the YouTube comments section. And we will respond, and give you some comments about how you did and whether it was a successful paraphrase or not. You can also look through and see what some other people responded with, and get some inspiration there and some ideas. But we wanna hear what you have to say and what kind of paraphrase you can make for this particular question prompt, okay? So good luck and I hope to hear from you soon and we will comment and take a look at all of those wonderful responses that we get from this video for this task one paraphrasing activity. The maps demonstrate the structured arrangement of James Park in 2017 and its estimated changes in next 10 years. James park will have significant changes in its maps location in 2027.As in 2017, the park has 5000 visitors on monthly basis but that will increase according to the new changes into 20000 visitors monthly.